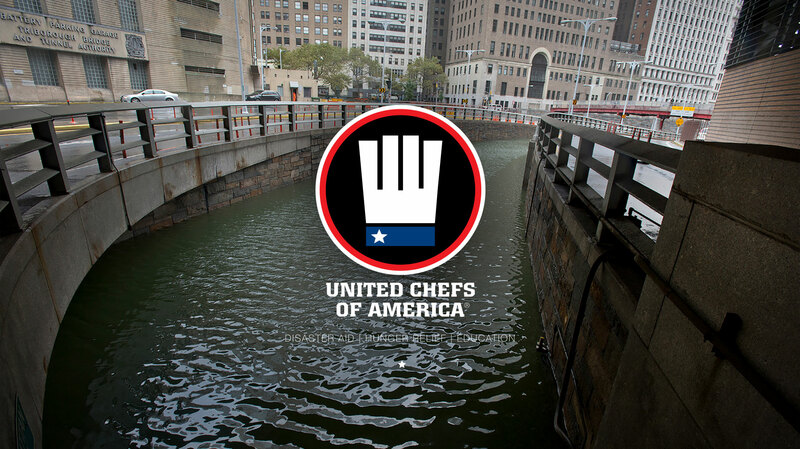 United Chefs of America is a community and quick response program designed to connect chefs, food assistance, and disaster relief parties quickly and efficiently in the case of a natural disaster or accident. 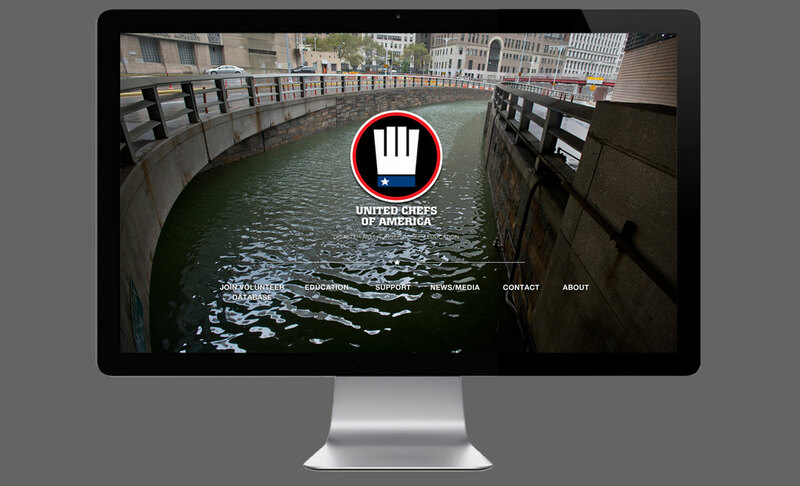 The client needed branding as well as initial web comps that combined the key concepts, Chefs and Assistance. 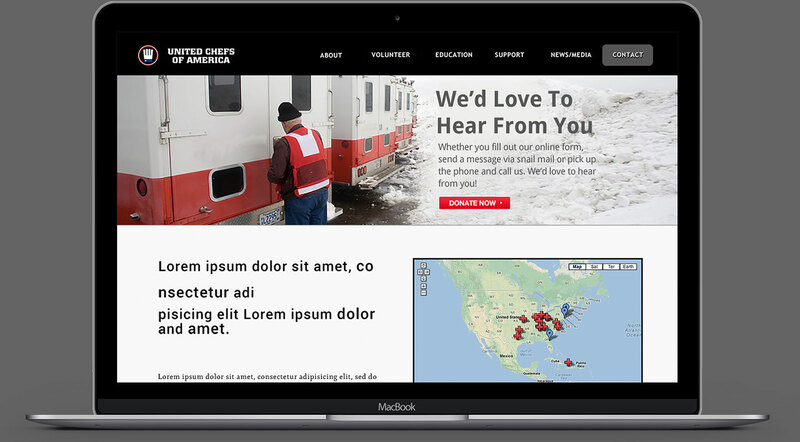 The final deliverables conveyed a feeling of protection and comfort that communicate effectively across all channels. 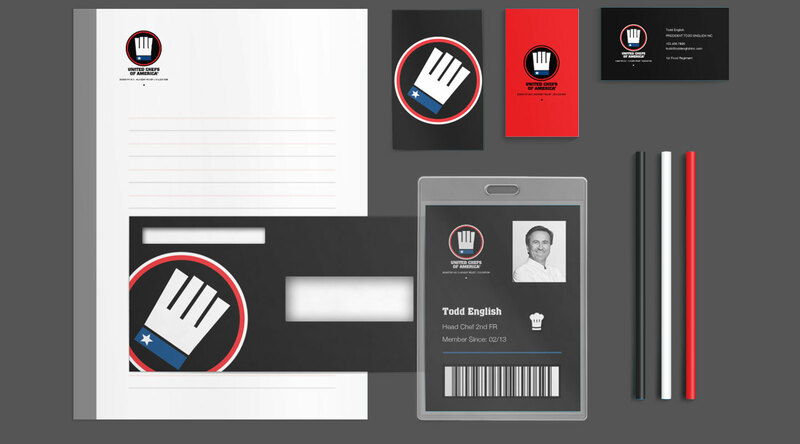 The branding solution was derived from multiple concepts combined into a more cohesive final product. 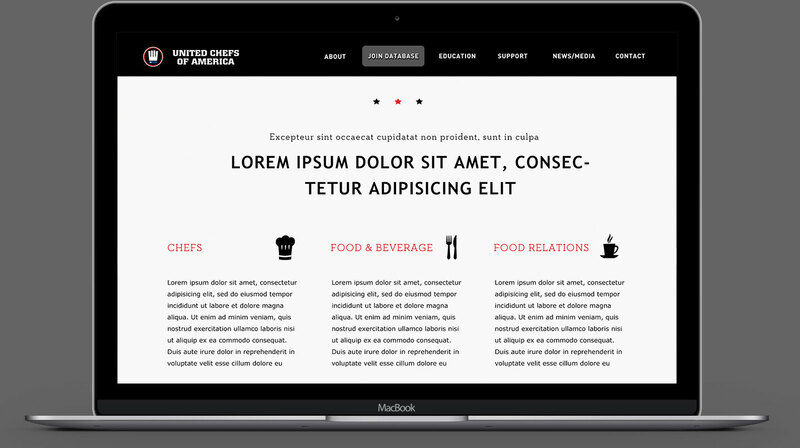 The primary logo mark is a combination chefs-hat / fork, cufflink, and outstretched hand bringing together the chef, American and relief ideologies into one. 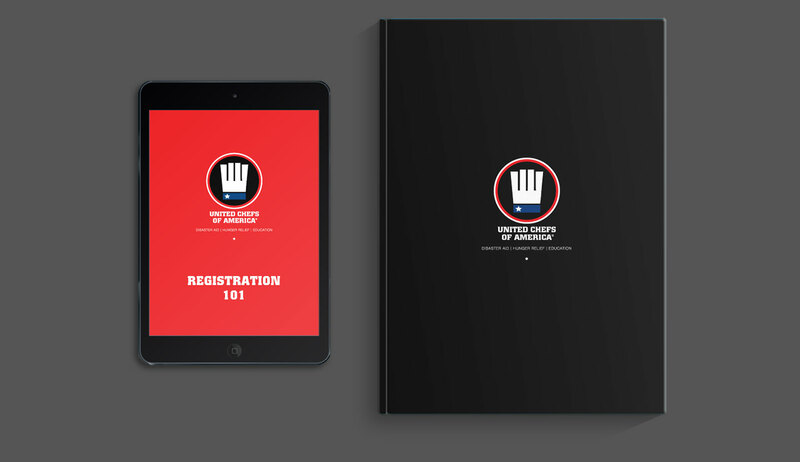 After developing such a strong icon for the brand, it made sense to implement it across the remaining assets with large bold print and expanding on the strong red accent.